We are delighted to welcome Wrekmeister Harmonies. 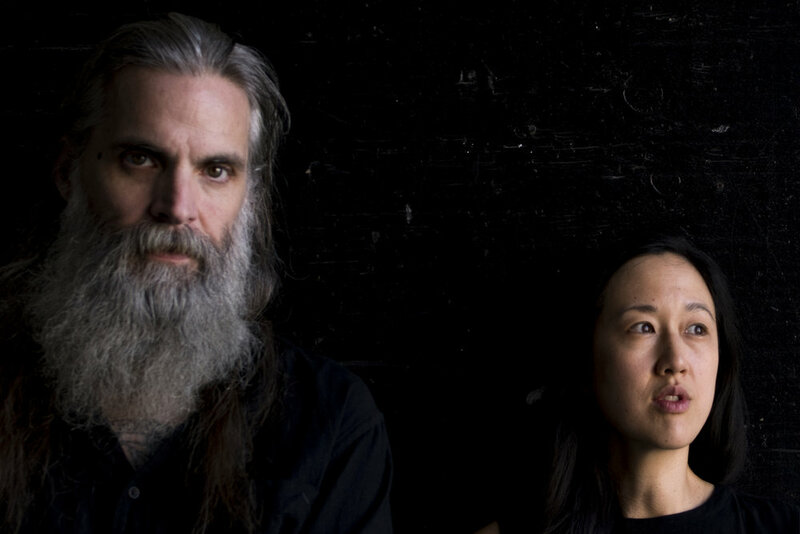 Their new album, The Alone Rush, their first as the core duo of JR Robinson and Esther Shaw, is a hauntingly intense and dark meditation on death and isolation, whose concise compositions carry an emotional heft without the orchestrated bombast of their previous four albums. The Alone Rush retains Wrekmeister Harmonies’ expansive and ambitious aesthetic, blending waves of ethereal keyboards, haunting string melodies, and crescendos of dissonance, but now turns central focus towards Robinson’s deep, rich, and soothing vocals. Wrekmeister Harmonies 'The Alone Rush' Live at Szold Hall from Thrill Jockey Records on Vimeo.